When I read these words, I feel invited to open my eyes a little wider, and to look a little closer for living examples of compassion, sacrifice, courage, and kindness that are around us. I feel called to share my own gifts of love and compassion, however meager. We need each other. We need each other’s gifts, forgiveness, and respect. We need to learn how to live well together. The best outcomes—in our world, nations, communities, and families—are made possible when we come together in ways that honor each person’s human dignity while engaging in productive dialogue. 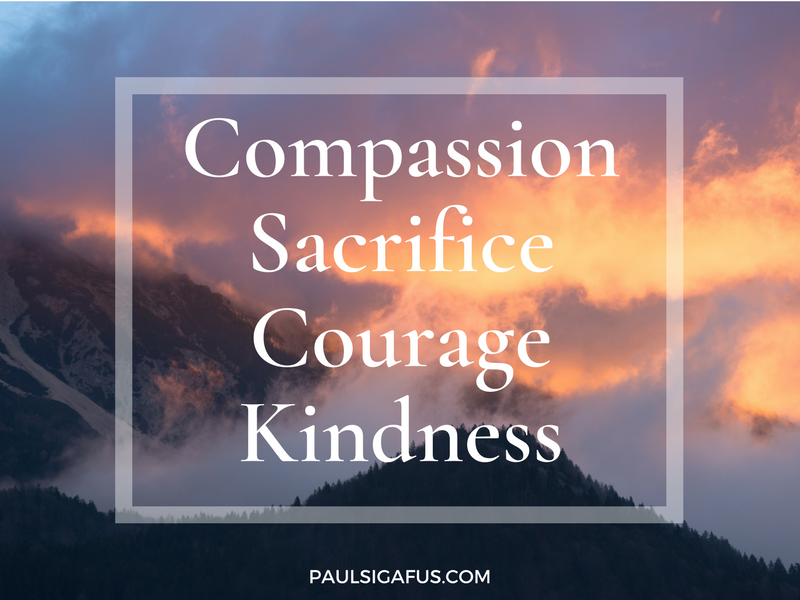 Opportunities for compassion, sacrifice, courage, and kindness are right in front of us. Let’s join together to make a better world. If you know someone who could use some encouragement, feel free to share by clicking the social media buttons below! Or just give them a call and let them know you care.